Medical Tests You Don’t Need? Surprise!!! Seventeen of the top medical specialty groups, representing pediatricians, ear, nose and throat specialists, family doctors and others released their latest list of common tests, treatments and procedures that people don’t need. Apparently you don’t need an MRI for lower back pain. You don’t need antibiotics for a sinus infection. And you don’t need to be screened for osteoporosis, either, if you’re under 65. They say that some can do harm, like unnecessary antibiotics. Others are simply helping to drive up medical costs. Imagine that. Here is a partial list of “tests you don’t need” accordingly to this group of physicians doing their best to encourage Americans to choose wisely. Unfortunately most Americans aren’t choosing at all! If the doctor writes a prescription for meds or tests they RUSH off to do as ordered. It’s time to think for yourself. Antibiotics for a sinus infection. While 80 percent of patients with sinusitis get one, most such infections are caused by viruses, which antibiotics don’t affect. You also usually don’t need an X-ray, CT scan or MRI, the American Academy of Otolaryngology — Head and Neck Surgery Foundation says. Induced labor or a cesarean section before a full 39 weeks of pregnancy, unless there’s a medical reason to do it. Babies delivered early can have lung problems, learning difficulties and other issues, the American College of Obstetricians and Gynecologists; American Academy of Family Physicians both say. A stress test when there’s no sign of heart disease. There’s no evidence it shows anything in a healthy person, the American Society of Echocardiography says. A feeding tube in patients with advanced dementia. Studies show it’s of no help to the patient, the American Academy of Hospice and Palliative Medicine and American Geriatric Society say. Hand-feeding is better. A routine annual Pap test if you’re 30 or older, or under 21. You only need one every three years, unless you’ve had an abnormal test, the American College of Obstetricians and Gynecologists says. And women under 21 are extremely unlikely to have cervical cancer. DEXA (dual-energy X-ray absorptiometry) screening for osteoporosis in women under 65 or men under 70, unless there’s a suspicion of bone loss. A CT scan for a child with a minor head injury. While 50 percent of children who visit hospital emergency departments with head injuries get one, they can raise the risk of cancer down the road, the American Academy of Pediatrics says. An EEG (electroencephalography) for patients with recurrent headaches. There’s no evidence it provides any benefit, the American Academy of Neurology says. Any kind of imaging for lower back pain unless there are special circumstances, such as neurological deficits, or if the pain has lasted for more than six weeks. Antibiotics for pink eye (conjunctivitis). It’s almost always caused by a virus, the American Academy of Ophthalmology says. 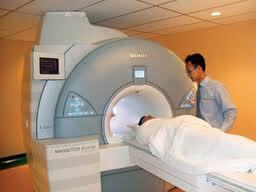 PET or CT scans to screen for cancer in healthy people. “The likelihood of finding cancer in healthy adults is extremely low (around 1 percent), based on studies using PET/CT for screening,” the Society of Nuclear Medicine and Molecular Imaging says. WARNING! Read at your own risk. You’re likely to get pretty mad when you see what unnecessary steps you and your family have taken to be “healthy”. WAKE UP AND TAKE CONTROL OF YOUR OWN HEALTH! CLICK HERE for more info on the PERFECT water for health! Wateralkaline water detox, anti aging, antibacteria, antioxidant, Autism and Alkaline water, cancer in america, carcinogen, exposure to chemicals, Has Anybody heard of Kangen water, who drinks Kangen water? ← If We Treated Animals Like This We’d Be In Jail!